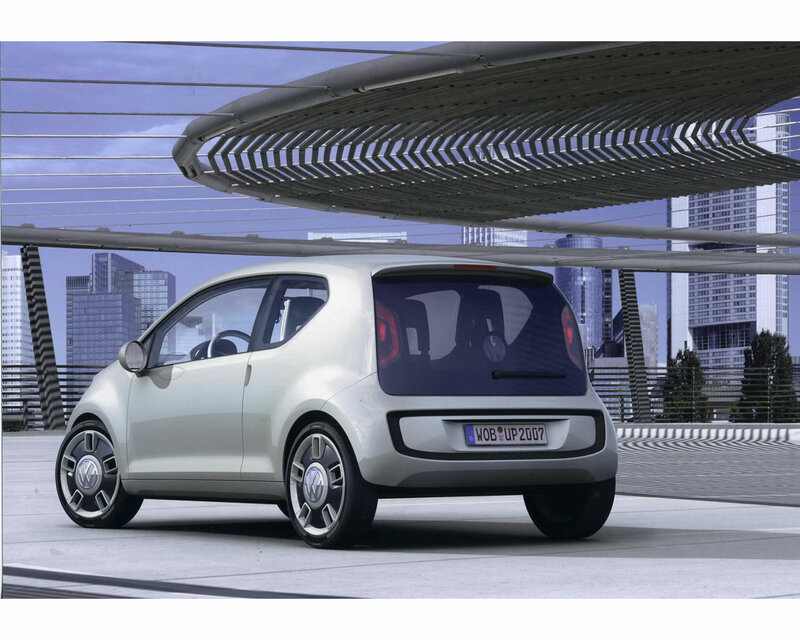 The Volkswagen Up Concept introduced at the 2007 International Francfurt Motor Show is a city specialist, a car for four persons for the job, for the university, the drive to the beach and the excursion outside the city gates. It is defined to offer more space than any other car of similar lenght, that is 3,45 meters and width 1,63 meters. Its engine, conceivable here are all facets of technology that can be sensibly applied, will run in the rear. "For Volkswagen", said Dr. Ulrich Hackenberg, Board Member with Responsibility for Technical Development, "the response of the public will be a decisive test to determine whether the concept has the same kind of potential possessed by the Beetle at one time or by the Golf today". 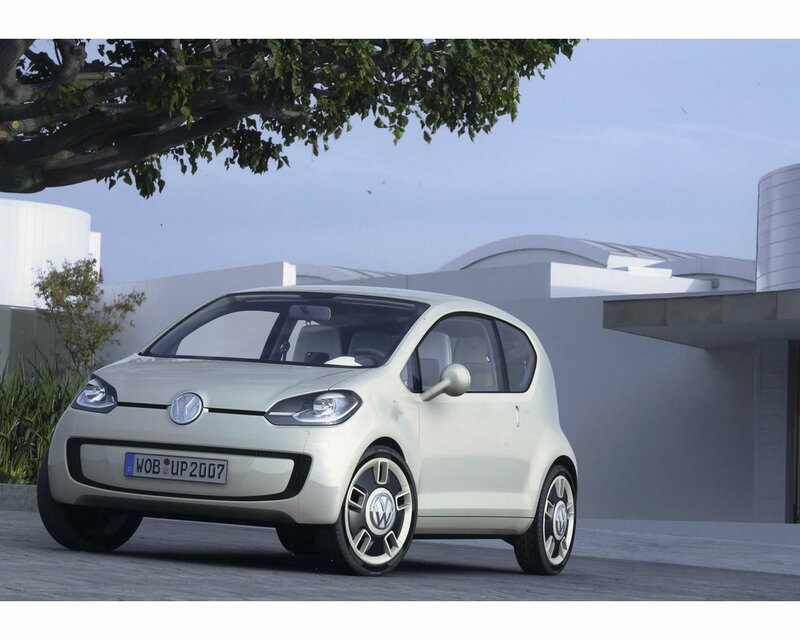 "The Volkswagen Up" said Walter da Silva, Chief Designer of the Volkswagen Group, "is not a car whose form will become obsolete within a very brief period of time. It shines in its cleverness and yet is made with loving care. And so the Up is a clear and strong statement for future Volkswagen design." Furthermore, the team of designers and engineers has envisioned the Up concept as the first member of an entire model line; other facets are entirely conceivable.